He was her formidable guardian…and she craved his touch! When domineering Spaniard Izar Agustin was made guardian to innocent Liliana Girard Brooks, he couldn’t have known that the passing years would turn this young girl into an alluring woman begging to be shown the unconscious desires of her body. For as long as she can remember, Liliana’s coolly elusive keeper has haunted her fevered imagination. Hoping to sever the ties that bind them, she recklessly gives in to one night of sensual abandon, shattering her naive fantasies irrevocably. But the consequences of that night will bind them together…forever! 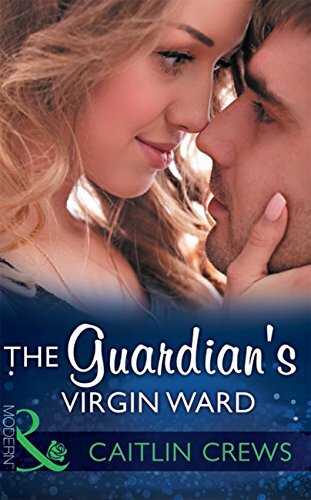 Follow Caitlin's The Guardian’s Virgin Ward board on Pinterest. Because the man who stood with his back to her, staring out at the Bronx and the mad glitter of Manhattan off in the distance through the half-fogged windows, turned. Her heart stopped. Then began again, with a kick that made the room spin around and then center somewhere deep in her belly, where she felt raw and hollow at once. The cruel and terrible Izar that Liliana had only seen in photographs for years. The guardian she’d always found equal parts maddening and horrible no matter how little she heard from him. She’d spent hours upon hours studying the man from afar, looking for proof that he was as terrible as she thought he was. And in all that time she’d never thought of him as anything but the remote and inaccessible bane of her existence. The shadow hanging over her, that was it. But Kay had called him beautiful. Izar could not be beautiful. Izar was…Izar. Nothing more. Suddenly, Liliana found herself completely unable to see the same dark, fairy-tale monster she’d always imagined when she’d thought of this man. She’d told herself she hated him and had imagined herself the wronged innocent in a tale that could only end with the big, bad wolf finally getting his comeuppance. She’d imagined him getting his in a great variety of ways, in fact. And it wasn’t that the real, live Izar was any less a devil than she’d imagined as he stood there, making no attempt to hide his disapproval from her as he frowned at her. But suddenly—impossibly, irrevocably—all she could see was the fact he was also a man. Because whatever else Izar was, whatever she’d told herself all this time because she’d needed to believe it as she’d scowled at all those pictures of him, he was indisputably a man. Something red and furious swept through Liliana then, making her much too hot and suddenly desperately worried that her skin might crack wide open with the force of it. Her head felt light. Her knees seemed weak. And deep in her core, she melted. Izar was formed like the bronze statue of himself that she knew very well stood in the impoverished Spanish neighborhood where he’d grown up. He was all hard male sinew and restless, brooding grace that shouted out his ingrained athleticism without him having to say a single word or move a muscle. 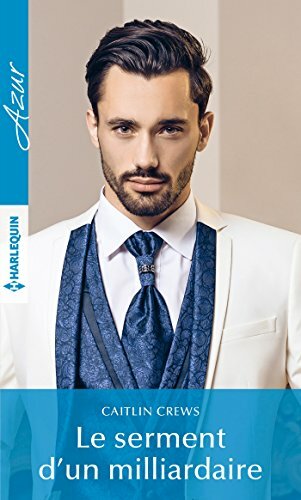 He was dressed in the sort of sleek, impossibly chic and yet relentlessly masculine way he favored, broadcasting the fact he ran an empire that included some of the world’s best-loved couture houses while failing, somehow, to mute that elemental power of his that came off of him in waves. Most of that was obvious in the pictures she’d seen of him. In person, he was like a blast of winter wind. Intense. Ruthless. Undeniable. He was muscled and perfect, and then there was that fallen angel’s face of his—all dark brows and his close-cropped dark hair, the scrape of the day’s beard on his belligerent jaw, and those acrobatic cheekbones that made his arrogant mouth, hard and yet full, nothing short of breathtaking. Literally, it stole her breath. That hum deep inside of her started again, making her skin prickle all over and a giddy sort of shiver wind through her belly, tight and sharp. “You are no longer twelve,” he bit out, and his voice in person was…better. Richer. Darker. Delicious, somehow. God help her. She was definitely no longer twelve. And she refused to act as if she still was, no matter that the fairy-tale shadows in her head had come to life before her eyes…and in a way that was far more raw and real than she ever could have imagined. Izar took a step toward her, then stopped abruptly. As if he didn’t quite trust himself to come closer—but that was ridiculous. Still, the odd little notion made her throat go dry and her heart beat at her all the harder. His black eyes glittered in the buttery light from her desk lamp and the chaotic gleam of the city outside her windows. He held himself still, so still she was entirely too aware of his solid shoulders, which took up the whole of her bedroom, and how he seemed to vibrate with a certain rich, masculine darkness that kicked its way along her limbs and pooled deep in her belly. Then pulsed. But this wasn’t a letter. This wasn’t one of the few, brief telephone calls they’d had over the years in which he spoke and she was expected to listen gratefully and then quietly obey. This was her bedroom and her birthday party. And she didn’t have to be cowed by this man, no matter the effect he had on her and no matter what parts of her fortune and future he still controlled. A muscle in Izar’s lean jaw clenched. And she was not at all prepared for his thunderous scowl. It all seemed directly wired to that pulsing, humming, molten place between her legs.